A hate-filled message was posted on the Perthshire Advertiser’s Facebook page after councillors backed controversial plans for a new mosque in Perth for the local Muslim community. The comment was branded “highly offensive and inflammatory” by Sheriff Derek Reekie. And he has called for a background report on the accused, of Lumsden Crescent, Almondbank, before he decides his fate. He initially denied the charge and was to have faced trial on March 6. But he changed his plea to guilty – and will be sentenced on March 21 after a Community Justice Social Work report has been obtained. The council decision to give the green light to the mosque, in the city’s Jeanfield Road, sparked opposition from the Scottish Defence League. 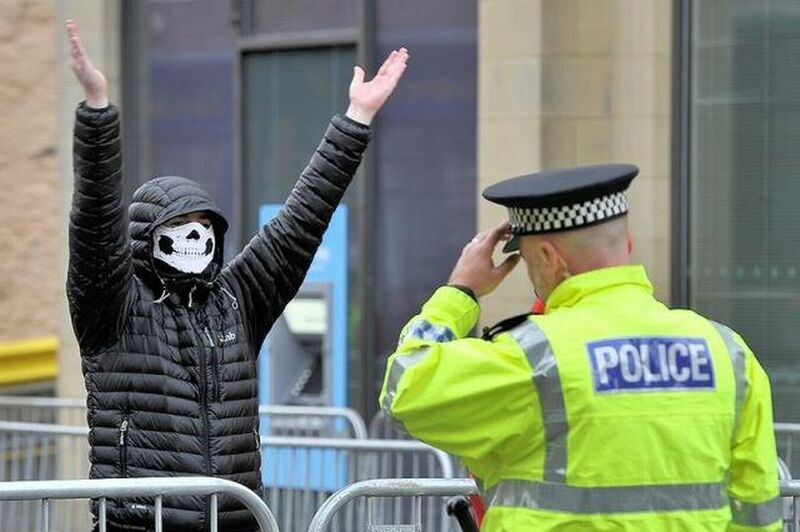 Around 50 far right supporters subsequently arrived in Perth in September, protesting against the planning bid by the Perth Islamic Society to move from their current site in Glasgow Road to a former builder’s yard. But the far right group was met by more than 1000 anti-fascist protesters. Fowler, who was represented at the court hearing by local solicitor Billy Somerville, admitted sending the religiously prejudiced comment to the PA’s Facebook page from his home on August 4 last year. He admitted that the message was grossly offensive or of an indecent, obscene or menacing character. Depute fiscal Robbie Brown said the grant of planning consent for the mosque had prompted demonstrations by certain organisations. Mr Somerville will give his plea in mitigation next month. Fowler had his bail continued meantime. A spokesperson for Perth Against Racism, the group who organised the counter-demonstration against the SDL last year, said: “Unfortunately we live in a society in which some people feel that it is okay to make remarks and post comments on social media platforms that are racially abusive. Remarks and comments that would perhaps not be made face-to-face.